Greg Mathis is founder and chair of Stoneware & Pottery Enthusiasts Guild of America, and serves as editor and site manager. 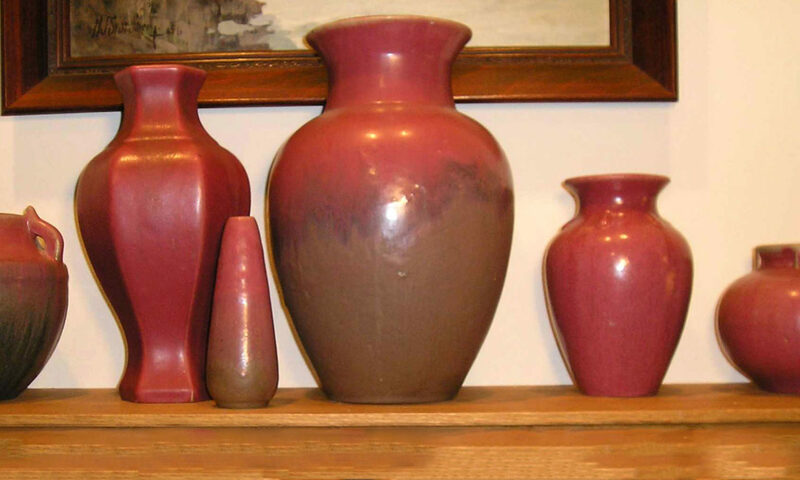 As a member of Collectors of Illinois Pottery and Stoneware for fifteen years, and as a past member to the Blue & White Club and to Old Sleepy Eye Cub of America, Greg has developed much interests in the potters and stoneware of southern Illinois from the archival researcher, student, and collector standpoints. His special interests are geared toward the Illinois pottery centers of White Hall, Upper Alton, Anna, Belleville, Mound City, and Santa Fe (Illinois). Greg has been COIPS convention seminar speaker on 19th century Upper Alton stoneware and received several related press releases in 1995. He was the guest speaker on potters and stoneware of Upper Alton at the Alton Museum of History and Art in December of 1999. Greg has written numerous articles on Illinois stoneware and pottery, and is author of one book Traditional Stoneware of the Bluff City. In the coming months, he plans to commence a comprehensive report on the prolific Illinois potting family of Andrew Kirkpatrick Sr.. This report will include many photographs and descriptions of vessels and folk art creations, and an interpretation of the Kirkpatricks’ significant impact.